With his new autobiography, Black Sabbath guitarist Tony Iommi looks back on the eerie history and diabolical influence of heavy metal’s founding fathers. PLUS: Jack Osbourne on his new Ozzy doc, and more. Corruption, malaria, cannibalism – as The Dead director Howard J. Ford explains, it’s all part of breaking new ground in the zombie subgenre. PLUS: We chart the outbreak of global undead cinema. Artisan Thomas Kuntz opens up about the clockwork horrors that make him tick. 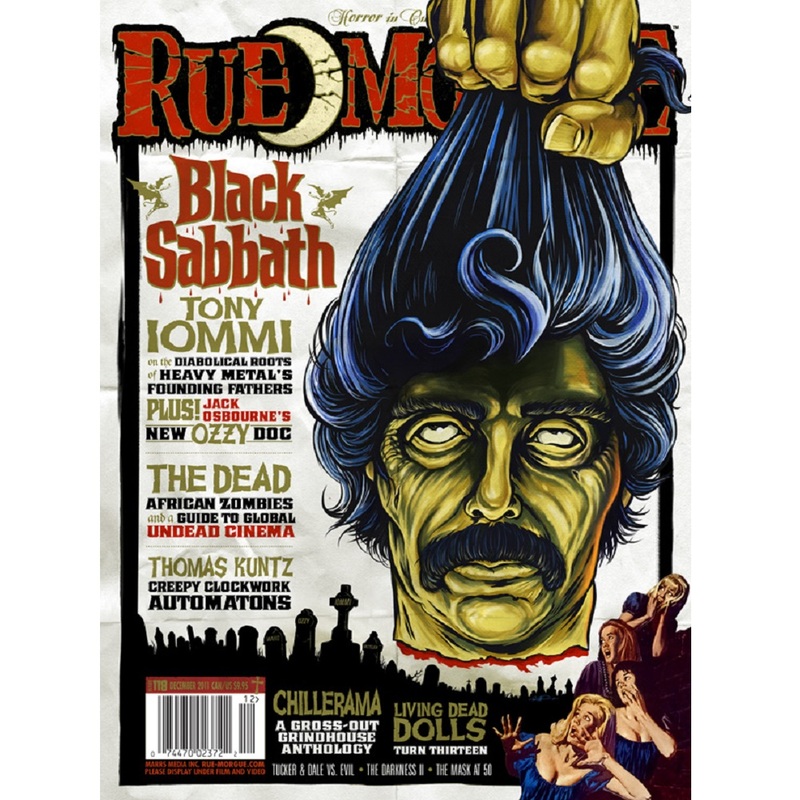 To mark the Living Dead Dolls’ thirteenth anniversary, Rue Morgue asks creators Damien Glonek and Ed Long about their line of loveable little hellspawn. Brandon Cronenberg follows in his father’s footsteps with Antiviral; Weird Tales evolves once again with new ownership; GWAR guitarist found dead on tour bus. Weird stats and morbid facts. Sick Top Six: Children of the Grave. The Year of the Dead 2012 Swimsuit Calendar; Cthulhu Waterglobe; Zombie Fridge Magnets; and Vampire Fangs Bottle Opener. 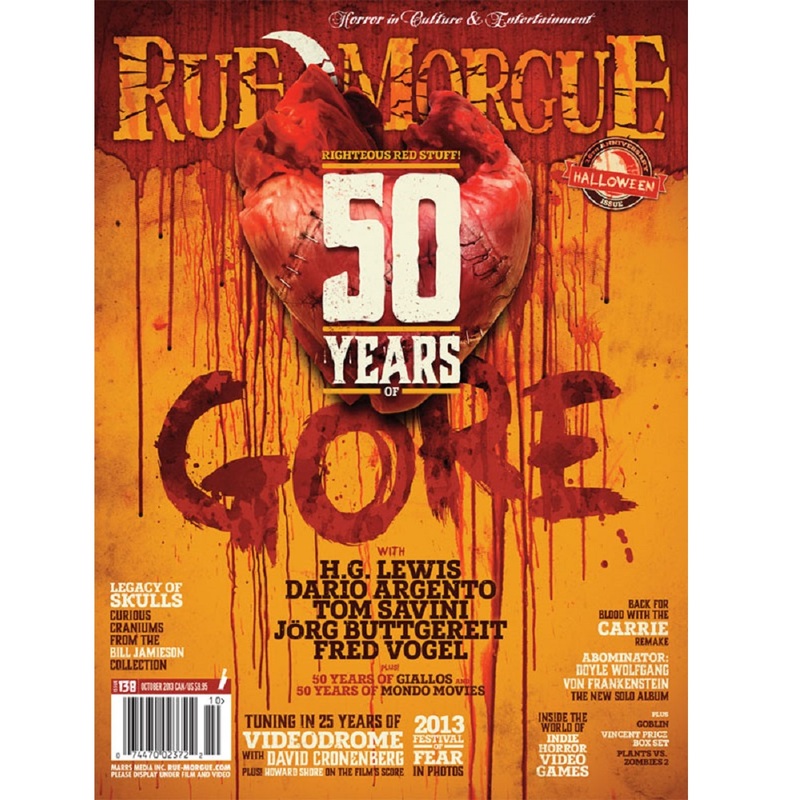 Rue Morgue’s Banquet of Blood, Misfits show, Father’s Day Cinemacabre, and more! CineMacabre features Tucker & Dale vs. Evil, plus reviews of The Thing, Paranormal Activity 3, The Skin I Live In, The Sylvian Experiments, Rare Exports: A Christmas Tale, The Last Circus, Retreat, The Caller, Supernatural: The Anime Series, VLOG, Paranormal Entity, Paranormal Effect and Paranormal Parody. Abbreviated Terrors gives the final word on Up Under the Roof, Oysters & Pearls, and Mangrove Slasher 2. Reissues features Canada’s first horror film, The Mask, plus reviews of Torso (1973), Subspecies 20th Anniversary Edition (1991), The Incredible Melting Man (1977) and The Bad Seed (1956). 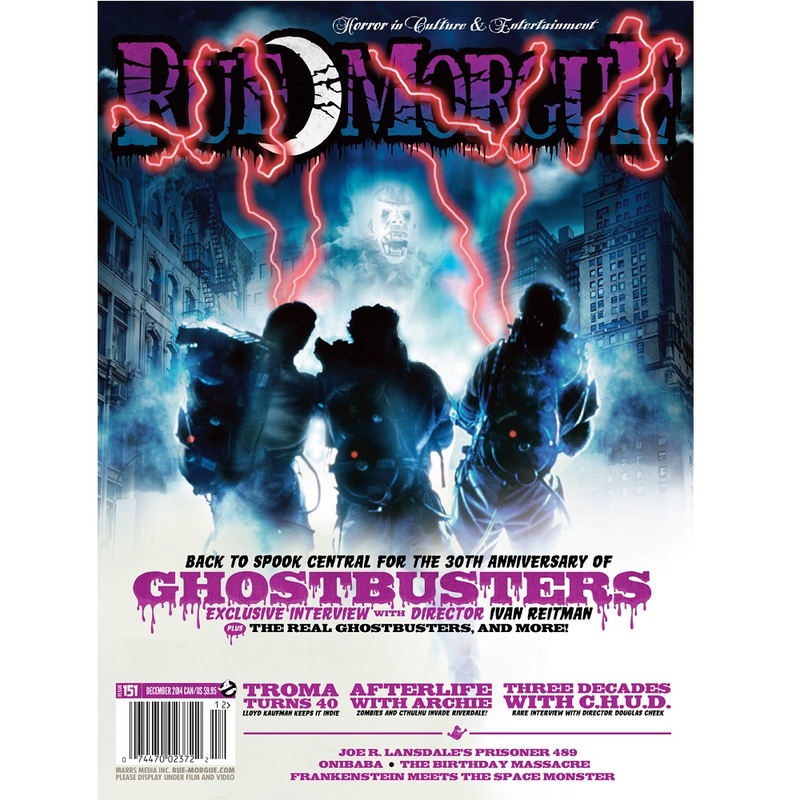 Features Brian Ralph’s Daybreak, plus reviews of 30 Days of Night #1, Key of Z #1 of 4, H.P. Lovecraft’s The Dunwich Horror #1 of 4, Legions of Monsters #1 of 4, and The Thing: The Northman Nightmare. Spotlight: Turn-of-the-century French scribe Maurice Level. Library of the Damned shares a favourite zombie story. Plus, reviews of Studies in Terror: Landmarks of Horror Cinema; Gaslight Arcanum: Uncanny Tales of Sherlock Holmes; Guillermo del Toro and Chuck Hogan’s The Night Eternal, Haunts: Reliquaries of the Dead, Steven W. Booth and Harry Shannon’s The Hungry; Michael Rowe’s Enter, Night; Jason Hawes, Grant Wilson and Tim Waggoner’s Ghost Trackers; and The Buffyverse Catalog. Le Manoir de Paris – Paris, France. Featuring drum and bass horror duo NC-17. The Blood Spattered Guide reviews Danzig’s Legacy show. Plus, reviews of Fright Night OST, X: The Man With X-Ray Eyes/Tales of Terror: “Morella” OST, Gears of War 3 OST, Lonesome Wyatt and the Holy Spooks, Erebus Enthroned, The Brains, Misfits, Behemoth, and Untimely Demise. Features a preview of The Darkness II, plus reviews of Dark Souls and Dead Rising 2: Off the Record. Black Sabbath’s “Behind the Wall of Sleep” (UK – 1970). 10 new subscribers will win The Complete Scream Collection DVD box set courtesy of Alliance Films.